I started in 2013 but wasn't finished with my first costume until 2014. I went to Salt Lake Comic con, my first convention and saw all the wonderful things people were able to build. After talking to some super friendly cosplayers and learning a bit more about the materials involved I got started! I continue to cosplay because of the wonderful charity groups I participate in, (Kids Heroes Foundation and the Mandalorian Mercenaries) as well as the enjoyment I get from working with my hands to create something tangible and artistic! I want to know more about your creative process. How do you start a project? Usually I start by being drawn to a character either because of the costume or the mannerisms of the character itself--even nostalgia characters. 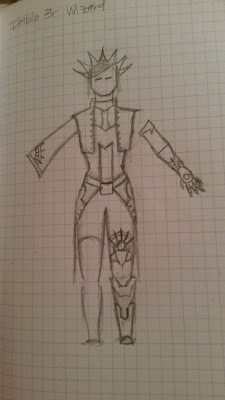 Then I sketch out a blueprint of the cosplay to organize the list of things I'll need to make and how I'll do it. That step really helps me stay on track as well as utilizing an app called "Cosplanner" to map out everything from budget to materials I need to buy. Once you are started, how do you go about making something? Do you test things out or just wing it? Generally in my planning stage I'll outline what processes I need to utilize in order to get the result I desire. If I think there's a technique needed which I've never used before I'll ask my very talented friends for ideas or guidance before I just dive in. I try not to waste too much time or money on trail and error. This is a "weekend" hobby for me! Cosplay Blueprint by Sherry Bear. My blueprint drawings serve as my primary reference for the planning and patterning stage but I also print out some reference art and hang it in my craft room in case I need to look at a piece specifically. It also helps when I'm in the painting stage of an armor build because I can make sure I'm coloring the pieces correctly. 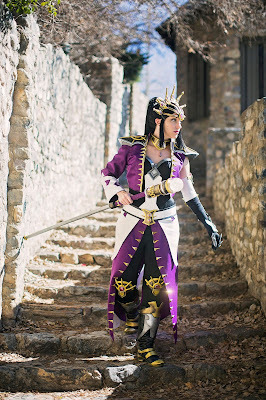 Finished Diablo 3 Li-Ming wizard by Sherry. Now that you have a blueprint and plan in place, how do you go about overcoming unexpected hiccups in production? One thing I've learned is there will always be unexpected hiccups in a build. ALWAYS. Your resin doesn't cure correctly, or the paint you picked out dries the wrong color. Add to that, a lot of construction methods I've experimented with in the past year have been completely new to me so it was hard to estimate how long it would take ahead of time. The last few large builds I've done have taken WAY longer than my initial estimate. I try to compensate for this with starting my projects well before I want them to be finished, that way I have the time to correct any issues that arise. 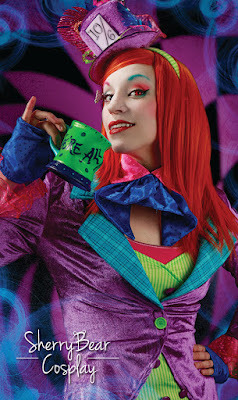 Many cosplayers will often work right up to the convention date, even working on their cosplays in the hotel room! Do you have any time management tips that may help beginners or even masters of the craft avoid such a dilemma? I have never tried to work on something in a hotel room mostly because I don't want to put that stress on myself! It's not worth it to spend the time you're supposed to be playing at a convention locked up in a room attaching trim or painting. Time management is important in order to avoid that situation. If you're a beginner and you're using unfamiliar things for the first time, just give yourself LOTS of time. It took me a year to build my first cosplay--and then an additional 6 months to fix it to be the way I wanted it to be. Don't underestimate how long things will take you when you're learning. When you're more advanced it's easier to know how long a build might take because you've done it before. But still leave yourself extra time in case something unexpected happens. 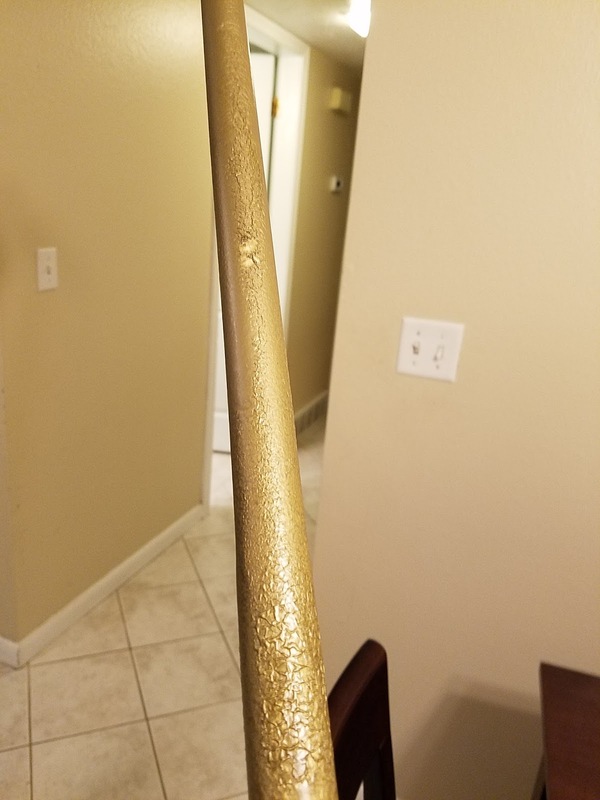 In my last build I was completely finished with a prop a week early but when I sprayed the sealant over my paint it curdled and cracked the paint underneath and I had to sand and repaint the whole thing. Having that buffer made it so I could fix it and let it dry in time for the convention. 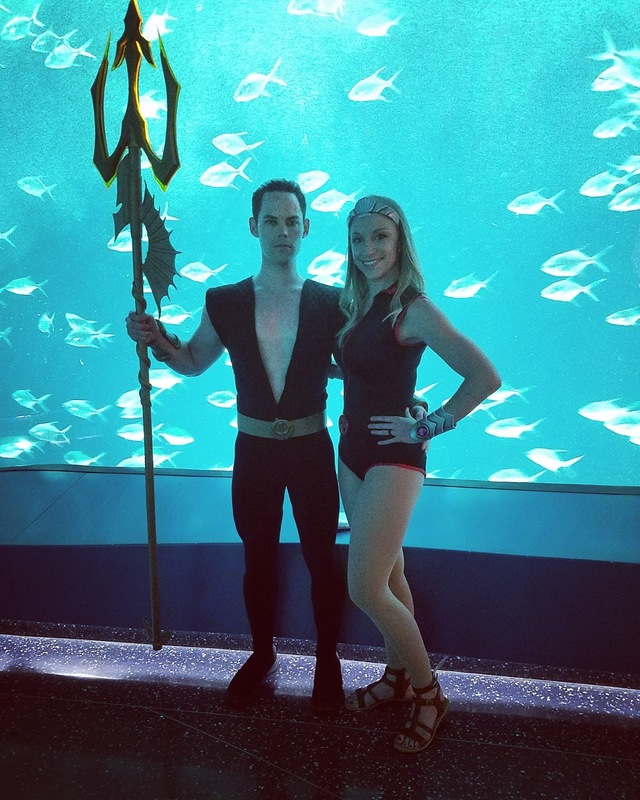 Of all the cosplays you have created, which on was the most challenging and why? I was most challenged by creating my Wizard Li-Ming from Diablo III. I was familiar with worbla at that time, but was not experienced with LED work, or props. I made a large staff to go with the costume from my own design so I also had to think about engineering something that I had no reference for. It was definitely a challenge! You have worked with a lot of charity groups. What has been your favorite moment with these groups? It's hard to pick just one moment because it's always really amazing to be able to bring some happiness to others through my costumes. I've always enjoyed giving back! 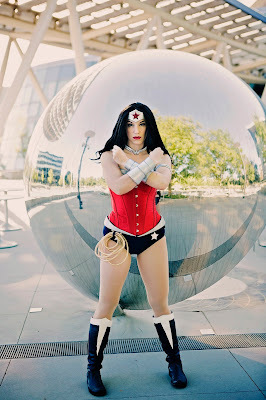 Though I will say it's really fun to see how well known Wonder Woman is, and how many little girls will tear away from their parent's side to give me a hug when I'm dressed as her! It really makes me happy to know that I can bring that joy to someone's day. 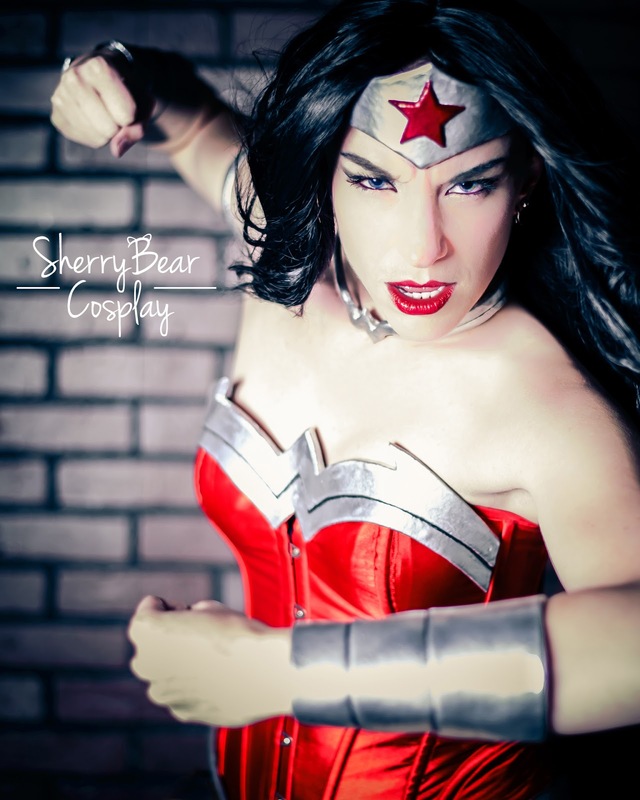 Sherry enjoys doing charity events as Wonder Woman. 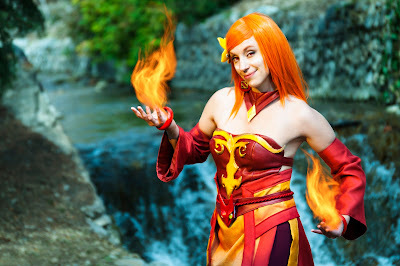 If someone was looking to join a cosplay themed charity group, which one would you recommend for beginners? They all have different rules and requirements to join. For example, the Star Wars costuming clubs have very specific requirements to qualify because the membership is endorsed by Disney and Lucas Film. In Salt Lake there are several to join which focus on many different fandoms, from Super Heroes, to Star Wars, to Zombie Hunters. I'd say it's best to start with what type of costume you like to wear the most and go from there! 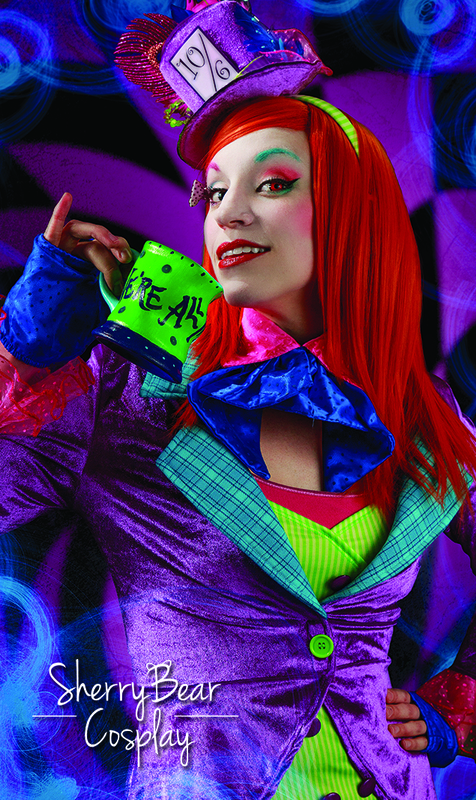 Sherry as a gender-bent Mad Hatter. What has been the most useful bit of advice ever given to you? In regards to cosplay, the best advice I have been given is to never lose sight of why you got into the hobby in the first place. It's easy to get caught up in the different facets of cosplay, from the competitive side to the con crunch side, but really the most important thing is to continue to have fun with this crazy hobby, and don't lose sight of that motivation.